Well done, overall. Good job! Coherent & Consistent storyline, displaying a couple of nice twists & turns. The first third and the last third of the story - excellent. The middle third - boring; the story drags by focusing on the teenage girl etc. Basically, either the writer lacked the inspiration, or some "well paid decision maker" butchered the script due to some marketing reasons, dunno. Either way, the middle third is kind of junk. 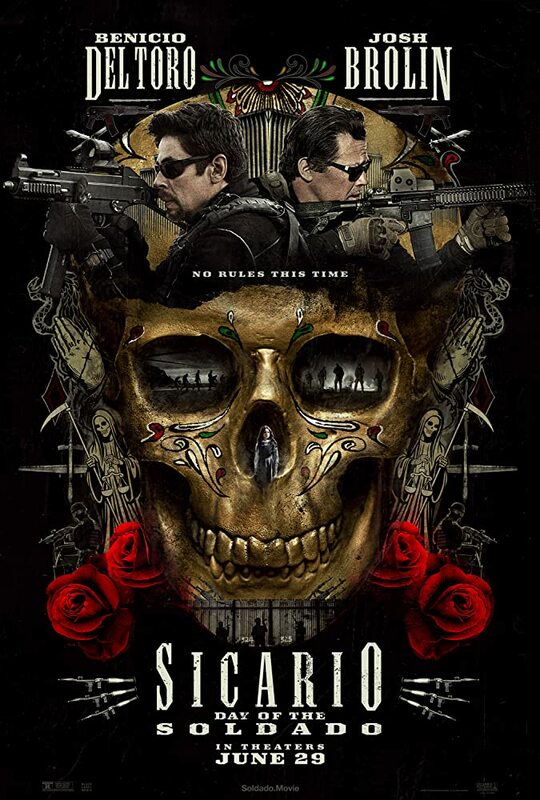 Benicio del Toro (as Alejandro Gillick) and Josh Brolin (as Matt Graver) do a good job. Unfortunately, they share little screen time together. Given (1) the screen time which is very well balanced among all characters/actors and (2) the very good directing and postprocessing, the overall acting/performance seem a lot better than the sum of all raw performances, just like in Den of Thieves (2018). I totally loved the sound & soundtrack - simple, yet powerful; the bassline gets into you. All in all, a good watch. Time well spent. I recommend it.